The powerful subconscious mind exerts tremendous influence over our lives. Right now your subconscious mind is directing countless programs that run your life. Many of those programs were created years ago and have formed ritual like habits that can seem impossible to break. Despite all this power the subconscious mind is a servant of the conscious mind. You must stand guard at the gate of your mind and diligently filter out any negative thoughts. Your subconscious takes everything literally regardless if it’s real or imagined. It takes past experiences and projects them on the ‘now’ as it works in the present time. Any negativity projected on others is experienced as your own negativity. Avoid judging or criticizing others all all costs. Without specific direction from the conscious mind it will always take the path of least resistance regardless of the negative consequences. The good news is you control your conscious mind and can train it. You can be self reliant, empowered, and in control. 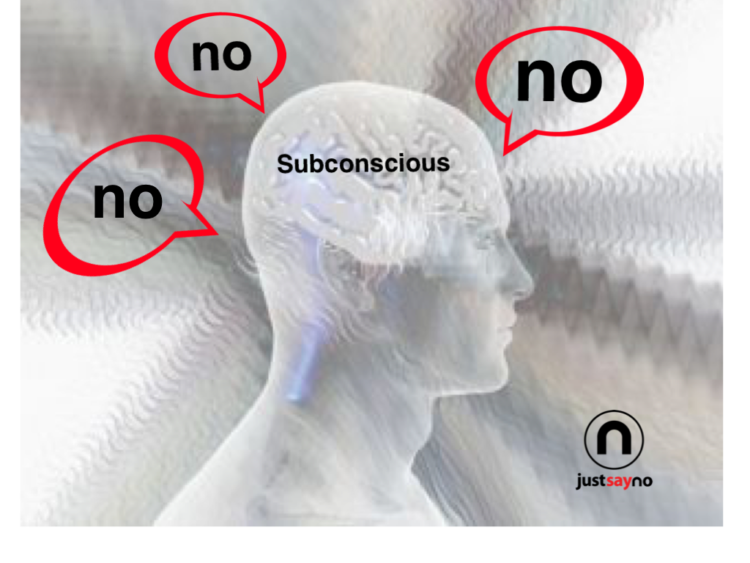 Be careful what you ask of the subconscious mind because it will give it to you, both positive or negative. We need to overwrite the lifetime of negative junk stored in your subconscious by feeding it new uplifting and empowering thoughts and feelings. Do this daily for thirty days and you will see results! You can create you own reality by passionately affirming and visualizing positive images and statements. Today I am strong, healthy, disciplined, successful, recovered, and happy! I can say no!